The exit of Chesapeake Energy’s maverick chief executive puts other energy bad boys on notice. 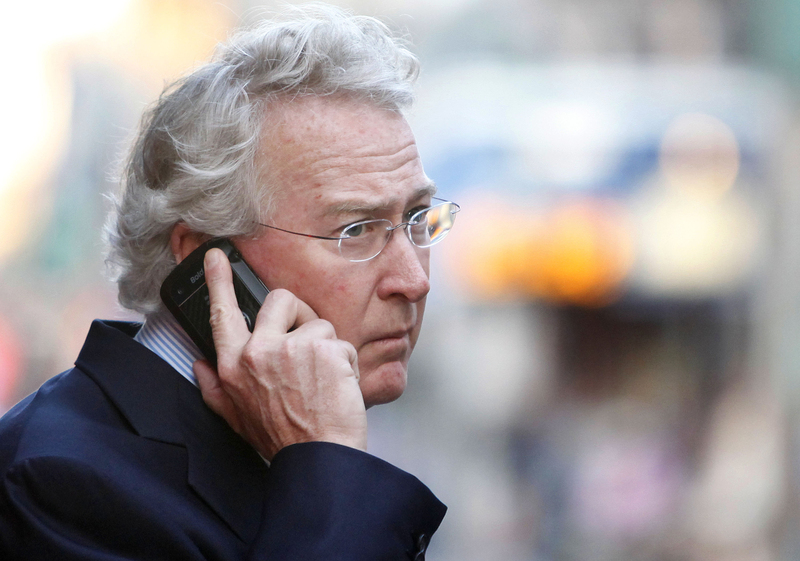 Aubrey McClendon’s abuse of shareholders has finally cost him his job. Defenders claimed he was vital to the gas driller’s future. But the oil company’s stock is already rallying, up as much as 10 percent in the after-hours market on the news. Fellow Wild West chiefs like SandRidge’s Tom Ward and Hess’s John Hess now look on borrowed time. In an industry notable for murky corporate governance, McClendon was among the worst offenders. An exclusive Reuters report in April 2012 highlighted the chief’s habit of taking personal loans from companies that Chesapeake sold assets to. He was also running a private hedge fund that traded in the very commodities that Chesapeake produced. A string of other governance misdeeds – including selling the company a private map collection for $12 million before being forced by shareholders to buy it back – gave the impression that McClendon saw Chesapeake as a personal piggy bank. The Chesapeake board says a probe into such conflicts of interest, which will be published when the company reports earnings next month, has so far found no evidence of misconduct. That will convince few. But at least he is leaving. And a new boss may finally achieve what McClendon often promised but never delivered on: an end to overspending that brought the company to the brink of disaster. McClendon’s departure is a triumph for investors like activist Carl Icahn, who fought to overhaul a submissive board. The overthrow of one of the sector’s most infamous bosses should encourage other discontented shareholders. SandRidge’s Ward runs a company that buys land from his son, pays its directors more than Exxon Mobil’s receive and owns four corporate jets despite the company’s main wells being within driving distance. Activist hedge fund Elliott Associates, meanwhile, has recently shone a spotlight on the mismanagement and cronyism at family-run Hess. The oil and gas sector suddenly looks a lot less safe for such coddled chiefs and submissive directors. But the cleanup of the industry has just started. Aubrey McClendon, the founder and chief executive of Chesapeake Energy, will step down on April 1, the gas and oil driller said on Jan. 29. McClendon, 53, has been chief executive since the company’s inception in 1989. The press release stated that the company would publish a review of the departing chief’s conflicts of interest when it reports quarterly earnings on Feb. 21. These included McClendon personally borrowing over $1.3 billion from Chesapeake’s business partners and also running a private hedge fund from the company’s office. Chesapeake said that its investigation to date had not revealed improper conduct and McClendon’s departure was unrelated to the allegations. The statement added that McClendon would be entitled to the full benefits laid down in his employment agreement. The company’s proxy statement of May 2012 states that this includes a full year of base salary in addition to “annual bonus compensation received during the twelve-month period preceding the termination date,” along with the full vesting of any equity awards or deferred compensation.